Distilling water is becoming a popular choice because it is one of the few ways to ensure completely pure water. Water that is totally contaminant free. This is because water distillation means removing everything from water and I mean EVERYTHING. The bacteria, chemicals and even minerals. This is why distilled water is usually used for industrial, medical and surgical uses. However, the fact that it is completely devoid of content means that it’s not “nutritious” as other water sources. Other sources like spring water, mineral water or reverse osmosis are still able to retain healthy minerals. Some people use distilled water because they have a new born baby or are taking care of someone that is unwell. This is because using pure water from a water distiller is a good choice in these instances. And even more so because constantly buying pre-distilled water is both costly and environmentally wasteful. Luckily, there are so many water distillers available on the market today. 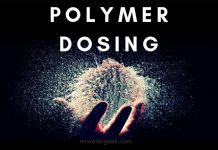 This article will help you understand how water distillers work, how to choose one and which is the best water distiller on the market. What Is A Water Distiller Unit? 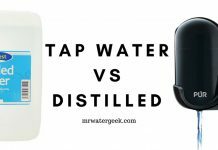 Why Use A Water Distiller? Read related post: Distilled Water Death? 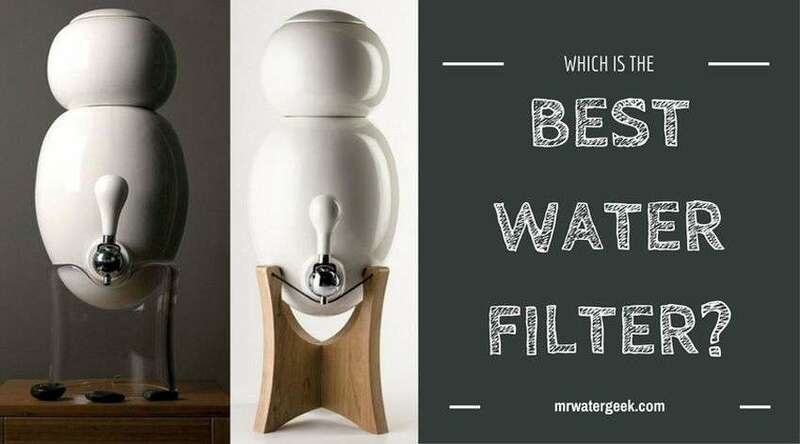 How to Choose the Best Water Distiller System? Why Get A SurvivorStill Non-Electrical Distiller? Here is a quick explanation of the water distillation process. This will help you know exactly what happens so you know what to expect when you get your very own water distiller. The most important thing to note about water distillation is that it is very straightforward. It is based on the idea of catching the steam of boiled water. This is such a simple process that you can actually do it by yourself at home right now. All you need is a kettle / pot and separate water chamber that can capture purified distilled water. Although distilling water is a simple process that you can do at home, getting a water distiller unit makes it much easier. A water distillation unit takes the hassle out of purifying your water and makes it safer too! In simple terms, heat is used to separate pure water from everything else that is contained. This is because the water steam (which is pure and contaminant free) is strained and stored away from the contaminated water. A water distiller unit is one that creates purified distilled water. The unit creates purified water through a process of capturing condensed water steam and leaving contaminant free water behind. The water that results from this process is called distilled water. If the process has been done properly the water will be contaminant free and can be used for many different purposes. For instance, distilled water can be used for chemistry labs, manufacturing or for those who want to drink purified water. Water distillers generally work on the simple principle of condensation and evaporation. Part of the distiller unit will heat the water. The other part is a water storage chamber to catch all the condensed purified water. The “steam” created by the unit goes into the cooling chamber and this is where you get your distilled water. If your water distiller unit is well looked after then it is capable of removing at least 95% of contaminants in water. Water distillation is able to remove compounds like sulfate, sodium, nitrate as well as other arsenic like elements. It is capable of removing minerals like magnesium and calcium, which are the causes of “hard water”. Chemical labs or industries tend to prefer using distilled water because of its higher level of purification. Many people prefer to use cheaper alternatives like water deionizer as you can use this in place of distilled water. However, deionized water does not compare to the level of purity presented in distilled water. CAN REMOVE FLUORIDE (!) Many people have concerns about fluoride ions that’s present in some water. Sadly, many conventional and common water filter systems are not always able to remove fluoride. However, water distillers can. This is because it removes everything from water including fluoride. If you don’t want to get and use a water distiller then you can easily buy bottled distilled water. This is ideal for people that live in a region where the tap water is not suitable for drinking. You don’t need to get a water distiller to make distilled water at home. You can easily follow the simple step by step process outlined in this post. It’s easy to do so long as you have a means of boiling water and capturing the condensed steam. Issues to Note: One issue you should be aware of is the small capacity that water distiller units can cope with. The nature of this water purification method means that distillation is only performed for small amounts of water. If you need to purify large amounts of water you should use Reverse Osmosis, which is more preferable. If you are still reading up to this point then chances are you are interested in buying a water distiller unit. If this is the case, here is a list of key points you should consider before you buy a water distillation unit. Which one is the most convenient system for you? Although the distillation process is the same which ever unit you buy, some of them are more convenient than others. How much space do you have? This might seem like a weird point but an important one as more and more kitchens don’t have a large amount of space to spare. If space is an issue then you are better off going for a compact space saving solution. Does it fit in with the look and style of your kitchen? It’s sad to say it but there are some God awful looking water distillation units out there. But with the amount of choice available today, it is always possible to get a unit that fits in with the current look of your kitchen. If you have got a budget go for one with the most value. The quality and effectiveness will become the most important factors so take note of points like speed and systems features. Try to select a machine that offers cash back guarantee or a solid warranty package. This is not necessarily so that you can claim the warranty (although at least you have that option). The reason you should seek this out is because it tells you that its manufacturers are so confident in the quality of their product they back it with a guarantee. Does it have safety certifications and external accreditations? Check for safety certificates and awards from external reputable bodies. If this is not possible look out for other customer reviews. One of the most important safety features on a water distillation unit is an automatic shut-off feature. This feature makes the device safe because it means it will never continue to distill water after the point at which it is safe to do so. 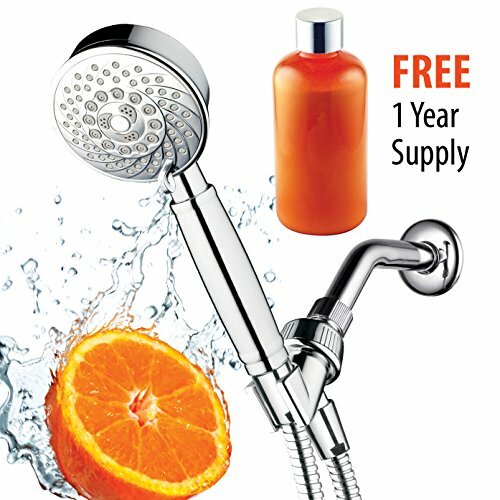 Opt for a unit that comes from a reputable manufacturer. There are many cheap, white labeled, generic brands of water distillers available on the Internet. Try to avoid this at all costs. A no-name brand company might not be able to honor any warranty they provide. You should always seek to use a brand that has a record of at least 5 to 10 years as a rule of thumb. Water distillation is a fairly simple process of purifying water by condensing and straining boiling water. You can do this process at home by yourself with the steps laid out earlier in this post. Or you can take all the hassle and guess work out of it by buying a water distiller unit. 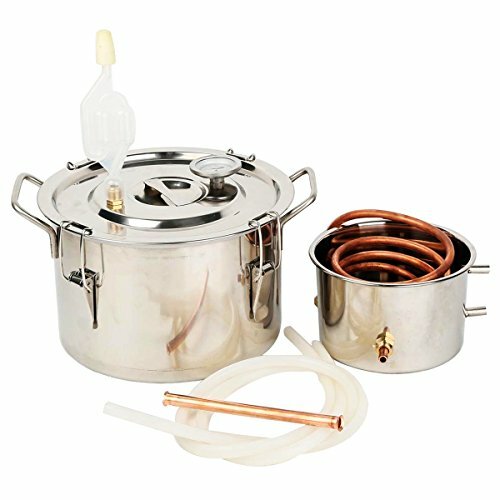 Below, I have made a list of the best water distillation systems on the market today. 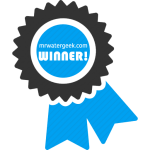 In the best water distiller reviews below I take a number of factors into consideration before suggesting my top pick. The following suggestions are assessed based on things like their capacity, features, user ratings, performance and overall value for money. Water distiller units are normally only able to purify no more than a small amount of water at a time. However, the MegaHome water distiller can store up to 1 gallon of water at any one time. 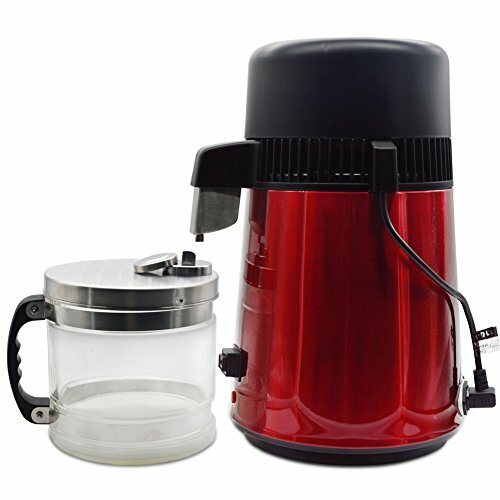 It is a well put together machine with high-quality stainless steel and glass. This makes it durable and means it requires low to no maintenance. In practical terms, the product dimensions are 9 x 9 x 13″ (in inches) and it weighs around 11 lbs (pounds). 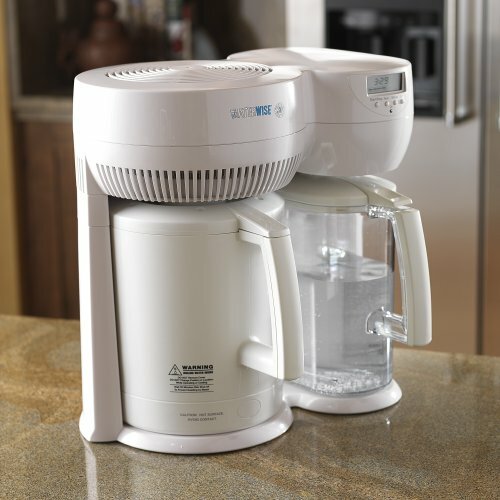 How to use the MegaHome Water Distiller: Handling this unit is very easy. You just need to fill the container up with water and then switch it on. The unit will distill the water and automatically switch itself off on its own after it has finished (very similar to a kettle once it has finished boiling water). It takes around 5.5 hours to offer you pure and safe distilled water, which can be too long for some. However, it purifies up to 1 gallon at a time so you can distill and keep water available for immediate use. The MegaHome water distiller is a very quiet system. There is almost no processing sound while the unit is working to distill your water. Made with high quality materials and therefore long lasting and durable. The chamber consists of high-quality stainless steel, and good quality glass. Has external certification and awards from CSA and UL. Can store up to 1 gallon of water, which is more than the average distiller machine. This has to be one of the best designed water distillation systems available. 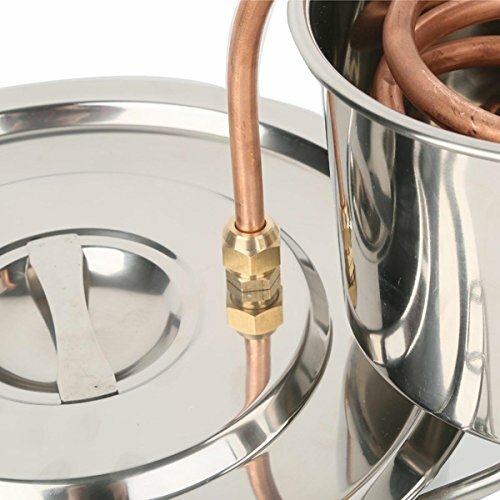 Its boiler is from high grade stainless steel and its great for people that don’t have lots of space. The system is very compact so you can also use it as a portable water purification device. How to use the Waterwise 8800 water distiller: This water distiller unit works in a similar way to the MegaHome distiller. All you have to do is pour water into the unit and put on the “on” button. The unit automatically switches itself off when finished. Its dimensions are 10.5 x 15.4 x 15″ (in inches) and it weighs around 14.3 lbs (pounds). This unit is slightly more costly than the other models reviewed in this article. However, it is very reasonably priced when you consider the quality of the machine and number of features it has. The Waterwise 8800 can purify up to 6 gallons of water for you in one day. It has handles that are both easy to use and comfortable to carry. The design of the handles mean that your hands are never close to the chambers thereby preventing accidental burns and scalds. Very convenient to use at home, the office and is small enough to be portable. It produces distilled water that tastes good and pure enough for drinking and cooking purposes. Has two different mechanisms a) steam distillation and b) a carbon post-filtration method. This leaves you with purer filtered water. Like the other units I have reviewed so far, the Olizee Pure Water Distiller is made from high grade stainless steel. This makes it a durable machine that will last longer. One of its best features is its carbon filter which leads to even cleaner fresh tasting water. In practical terms, the units dimensions are 11.4 x 10.1 x 19.3″ (in inches) and it weighs around 8.5 lbs (pounds). It takes around 4 hours to provide you with 1 gallon of purified distilled water. The price is slightly high for the amount of features the system provides. Although it is cheaper than Waterwise 880, it doesn’t represent the same value for money. The water compartment is from high quality glass. This means you can put it in the fridge for the water to cool down without any issues. Water also goes through a carbon filter unlike the typical plastic material often used in water distillation machines. There is a 220V option of this machine. Easy to handle and user friendly controls. It comes with a timer and the system automatically shuts off after it has distilled your water. 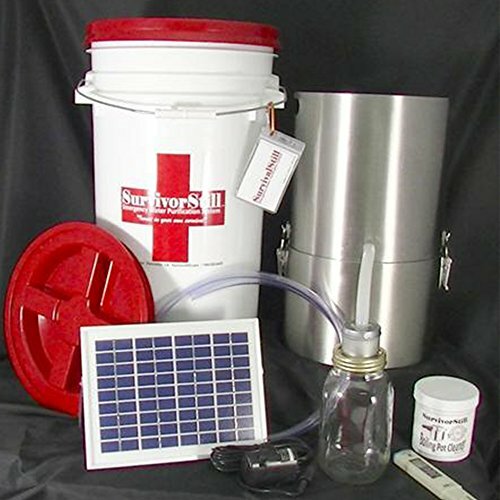 If you are looking for the best non electric water distiller or camping water distiller then I recommend the SurvivorStill Non-Electrical Distiller. It has excellent features, easy to use and worth the slightly high investment cost if emergency access to water is important to you. However, this is a great option even if you don’t need it for survival based reasons. This non-electrical water distillation unit is able to treat water from most water sources like ponds, rivers, even swimming pool water. Item dimensions are 4.09 x 12.28 x 12.99″ (in inches). The distilled water flow rate from the SurvivorStill can produce around half a gallon per hour. This is capable of treating water from any water source like a river, pond, pool, etc. The unit comes with a very long generous warranty that covers any defect with the unit. The biggest advantage of the Survival Still Non-Electrical Water Distiller is its quality, reliability and durability. It has a quality of workmanship and high quality materials, which means the unit does not need too much long term maintenance. You need to buy the whole bundled package (not just the unit) with all the extra parts for this to work properly. 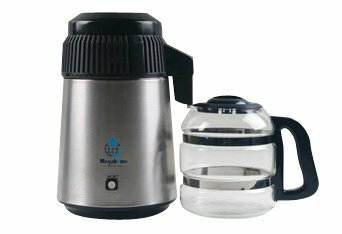 Purifies 18 gallons per day, includes a 7 gallon bucket and 50% more distilled water than any other. This is huge and means you can get enough clean water for your family or even use it in a camp site. It has a lid cover that is air and water tight, which helps you keep distilled water safe. Safety features means it will not create the chance for scalding accidents. Uses industrial standard steel and other high quality materials which means it lasts for a very long time. It does not need on-going maintenance. For instance, you don’t need to buy or keep water filters to hand. This is because it doesn’t need this unlike other water purification methods. This makes it the #1 choice for an emergency / survival situation. Easy to set up and use out of the box. Does NOT need any electricity to operate. It comes with a LIFETIME WARRANTY on the workmanship of the machine. This is not just something to have for camping, survival or emergency situations. The SurvivorStill Non-Electrical Distiller is a great plan B back up option for your existing water filter. How will you get clean water if there is a power outage? 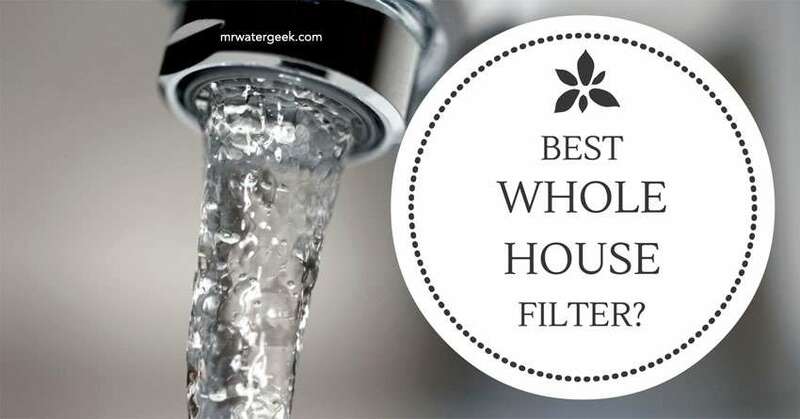 What happens if you are out of water filter replacements and it will take some time to arrive? Or your main water filter is not working for any other reason? 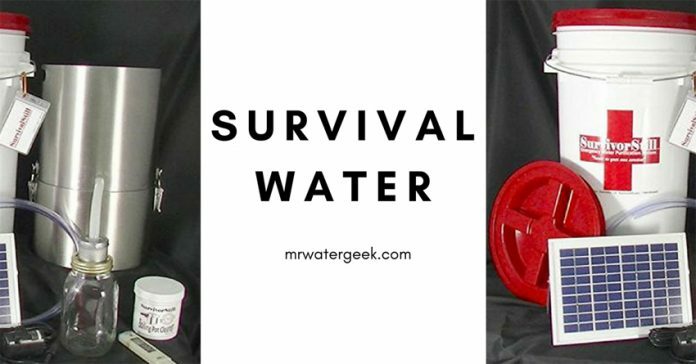 The SurvivorStill is a great water purification device that you can keep around for unexpected situations. Take time to read the latest customer reviews. That way you can see the above average product rating and understand what makes this one of the most recommended non-electrical water distiller machines in its category. Next articleHere Is The Best Water Dispenser But Is It WORTH The Cost? 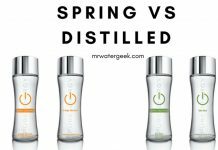 Spring Water vs Distilled Water: Which is the Healthiest and BEST to Drink?